Mercedes-Benz Cars had its best-ever month in March, helping to boost first-quarter global deliveries to a record 340,877 units. Last month, sales of Mercedes and Smart cars rose 9.8 percent to 142,278, with Mercedes brand sales up 11 percent to 131,334, while Smart volume fell by 2.8 percent to 26,975. For the quarter, the United States was Mercedes' biggest market with a 15.3 percent volume rise to 61,513. In March sales grew 7.7 percent to 23,134. Germany was the second biggest market on a 14.6 percent rise to 56,552 in the quarter, with March sales up 10.5 percent to 25,932. China was the third biggest market in the first three months with a 19.5 percent increase to 51,328. Of those 17,660 were sold last month, up 16.1 percent. The global volume increase was driven by sales of the C class, which rose 27 percent in the quarter to 99,660. "This makes me confident that we will achieve our goal to post a new sales record in 2012," Joachim Schmidt, Mercedes head of sales and marketing for Mercedes-Benz Cars, said in a statement on Tuesday. Mercedes, which slipped behind Audi last year, is seeking to boost annual sales to more than 1.6 million vehicles in 2015. 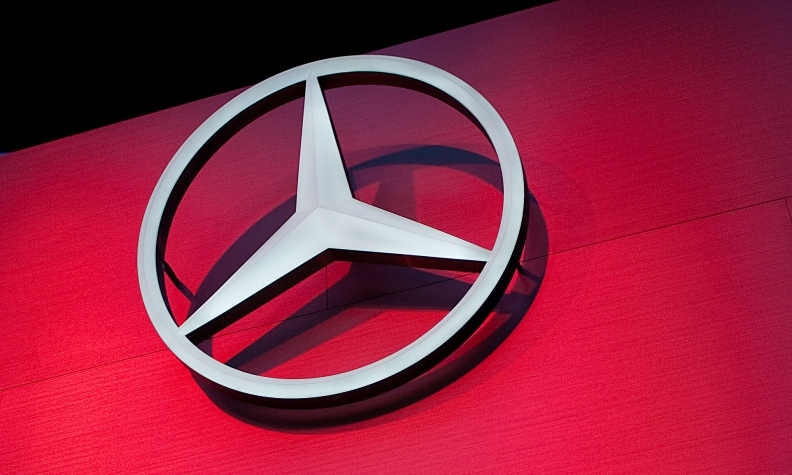 In 2011, Mercedes sold 1.38 million cars worldwide, up 8 percent on the previous year.